Americans supported the war in Iraq not because Saddam Hussein was an evil dictator–we had known that for many years–but because President Bush had made the case that Saddam might hand off weapons of mass destruction to his terrorist allies to wreak havoc on the United States. As of this writing, there appears to be no evidence that Saddam had either weapons of mass destruction or significant ties to terrorist groups like al Qaeda. Yet the belief that Saddam posed an imminent threat to the United States amounted to a theological conviction within the administration, a conviction successfully sold to the American public. So it’s fair to ask: Where did this faith come from? (CNN) — Saudi Arabia is preparing for more terrorist attacks following a suicide car bombing in Riyadh on Saturday, which killed 17 people and wounded more than 120. Officials in the kingdom blame al Qaeda for the attack, and now fear terrorists might strike the city of Mecca, a pilgrimage destination during the Muslim holy month of Ramadan. ANDREA KOPPEL, CNN ANCHOR: More now on those taped messages purportedly from Osama bin Laden. The U.S. government is analyzing the audio to determine whether it is truly the words of the al Qaeda leader. CNN’s Mike Boettcher is with me here at CNN Center with the latest on this developing story. By far the most serious charge that can be leveled against Bill Clinton is that his administration was derelict in its handling of the al Qaeda threat and therefore deserves much of the blame for the dreadful events of Sept. 11. If these charges were true, Clinton’s considerable accomplishments on the domestic economic front and foreign policy successes such as the Dayton peace accords would be utterly eclipsed, while even the harshest appraisals of the Lewinsky matter would be rendered moot. Moreover, a plausible argument that the Democrats screwed up the hunt for al Qaeda would have obvious implications for the election in 2004. CHRISTINE ROMANS, CNNfn ANCHOR, STREET SWEEP: While the world remembers September 11th, the hunt is still on for Osama bin Laden. Wall Street especially is keen for updates on the hunt’s progress. At this time yesterday, markets tumbled after television networks aired a new tape apparently of the al Qaeda leader. Analysts are poring over the tape which they’re hoping will shed light on his whereabouts. 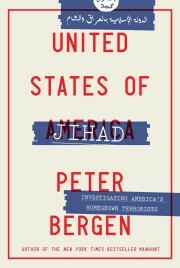 Peter Bergen is CNN’s terrorism analyst. He joins me now to talk about this.